Photo of Justice system text book. 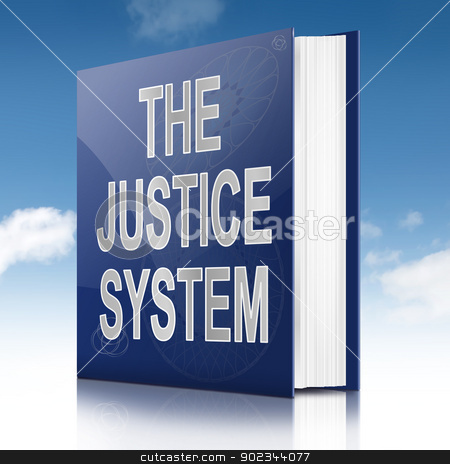 Illustration depicting a text book with a justice system concept title. Sky background.